Project Attica has implemented the use of restorative justice circles since 2016 weaving them into the artivism framework by creating intentional spaces where storytelling and engagement lead to building and healing that is then re-explored through art. 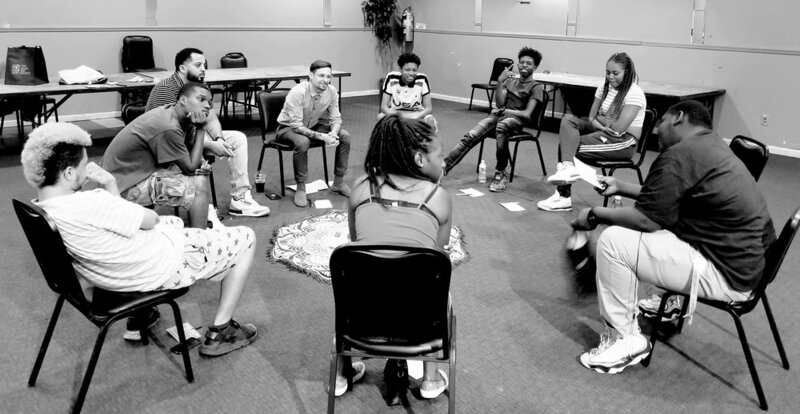 In our recent artivist community-building circles, we have devoted our attention to working with youth in middle schools, community organizations and churches bringing the circles where we engage problems impacting their neighborhoods through story-telling. After working through circles towards solutions, we engage in the artivist workshop. On this second day, we devote time into understanding how art and activism combined can assist us in raising our voices through artivism. We build on the stories and conversations from the circles and gather that into the t-shirts or other art-based activity. In this manner, we are able to introduce communities to the power of circles to build community and then create a t-shirt that they will be able to wear to begin starting conversations in the spaces they walk.